The last visit of the year to Trullo Azzurro to close the place down for the winter and a very productive visit it was too. Usual routine when we are flying RuinAir: straight from work Thursday evening to the SAS Radisson Stansted. 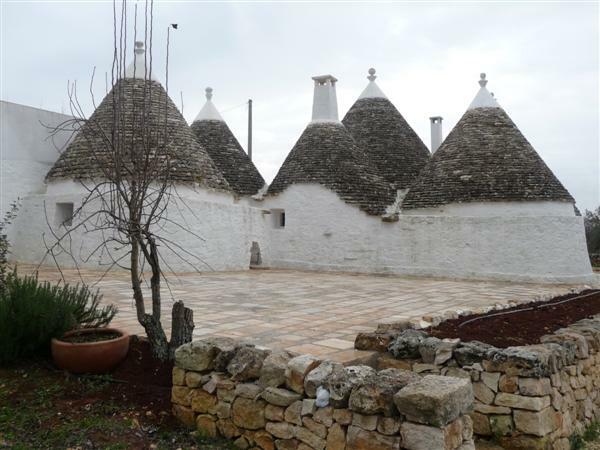 A relaxing meal and an early night for the dawn flight to Brindisi and a sprint down the SS16 to Trullo Azzurro (tafka Hovel-in-the-Hills). After a quick lunch at Trullo Azzurro we went to the bank to pay some gas bills and reinstate our Internet banking. That evening we went with Chris & John for a meal in Martina Franca. The next morning C&J came round to help us with our olive harvest and a spot of lunch. Mary insisted on buying rather than borrowing the kit so we are now the proud owners of three crates, four nets (4m x 8m) and four olive rakes. 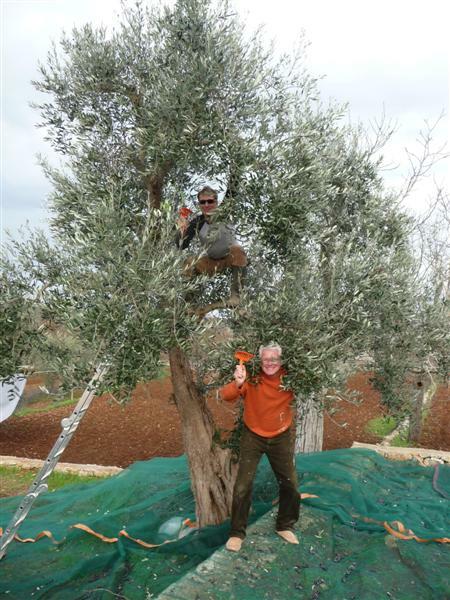 A couple of hours was enough to denude all our trees of their olives. We took them round to C&J's neighbours to add in to their harvest for pressing. 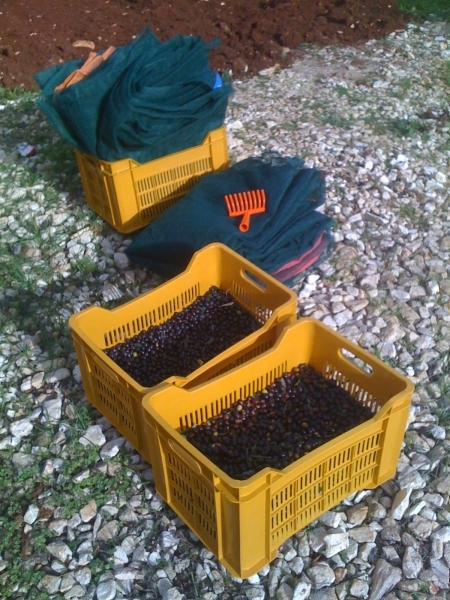 Hopefully next spring we will get back a couple of litres of extra-virgin olive oil. The rest of the time was bagging up all the linens into vacu-sacs, plugging in the dehumidifier and preparing the place for over-wintering. Job done it was home on Sunday. I travelled light: hand luggage only and that was a Waitrose bag-for-life! 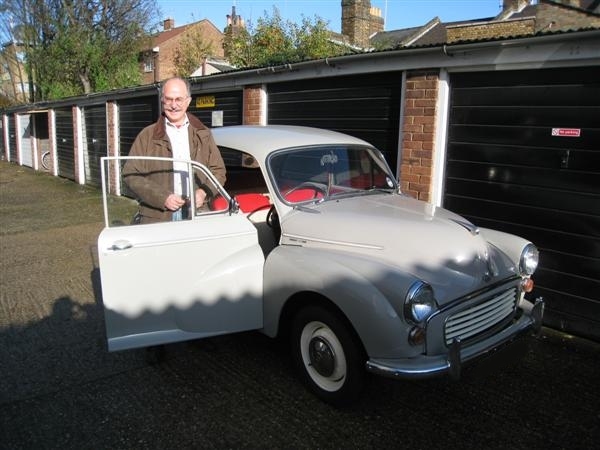 We had spent a load of money having her refurbished (Molly Goes to Bristol, Molly returns from Bristol) so we may have sold her at a loss but we have helped preserve a bit of motoring heritage. As the new owner said, it may only be a lump of metal and glass but you do get very attached to them. 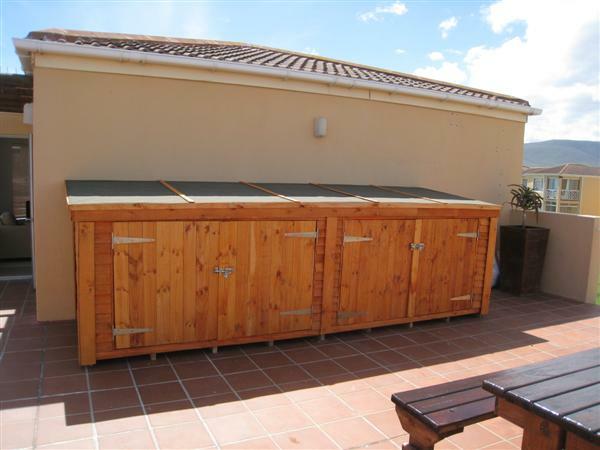 In South Africa sheds are known as Wendy houses and we decided we needed one on our terrace. We have a couple of lovely shell-back chairs that have needed re-varnishing every visit and a barbeque which had rusted in the salty air. 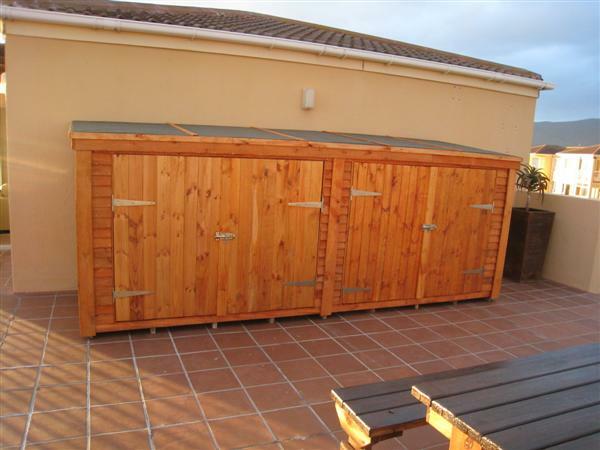 So a storage box to contain these and the sun loungers (and possible future bicycles) over winter seemed like a good idea. 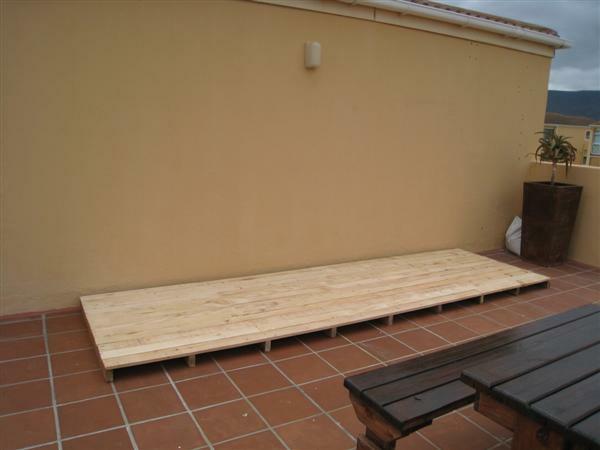 We consulted the beach club regulations which prohibit extending your property without permission but did a free standing Wendy house really constitute a structure under the meaning of the rules? Anyway, it's not a Wendy house it's a "storage box", honest. We decided to apply the adage "it is better to ask forgiveness that seek permission" and went ahead and ordered one from Tops Timbers at Bot River. Being on the third floor presented some challenges. The floor and roof panels were too large to go up the stairs so had to go up the outside of the building! Then all the wall and door panels had to be carried up the stair well - no lifts. 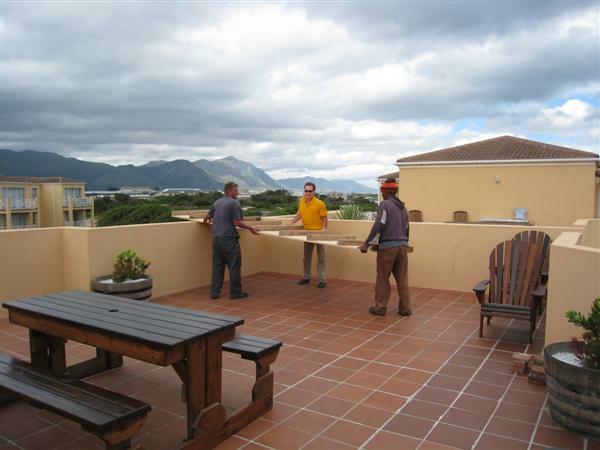 We had specified a low roof to keep the sight-line close to that of the parapet wall but the Hennie of Tops Timbers had kindly made it taller so we would not have to bend as much to get the chairs in. 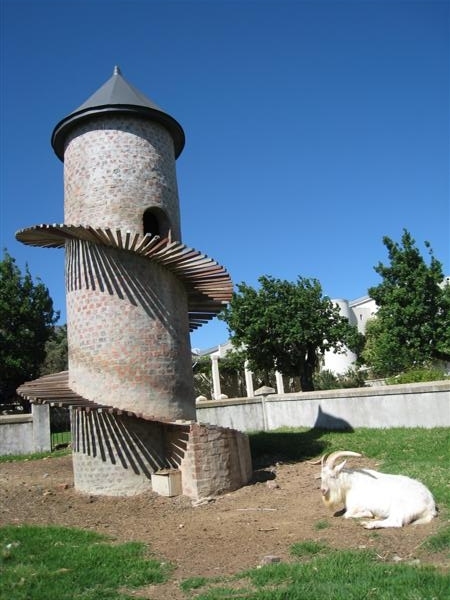 When the thing was installed it was huge and at least a foot (30 cm) taller than we intended. When we explained to Hennie he was the epitome of excellent customer service. 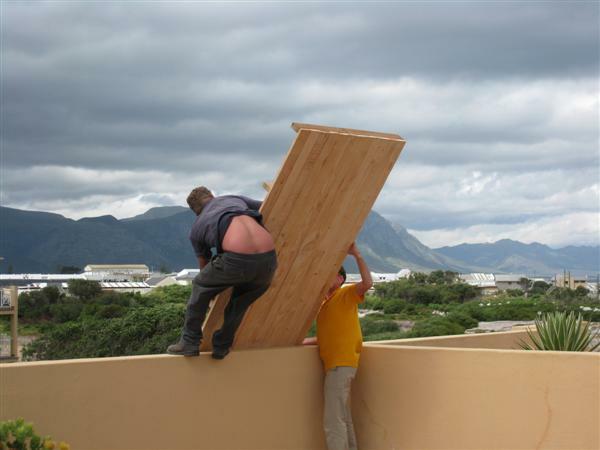 He arranged for the lads to come the next afternoon, dismantle and remove the offending side panels. They took them back to the workshop, chopped them down and returned the day after to reassemble the now shorter Wendy house (sorry storage box). It still looks massive but at least it is, mostly, out of sight. On this trip to South Africa we flew out on our wedding anniversary. Normally we go away for the weekend to celebrate, and so this trip we decided to do the same. 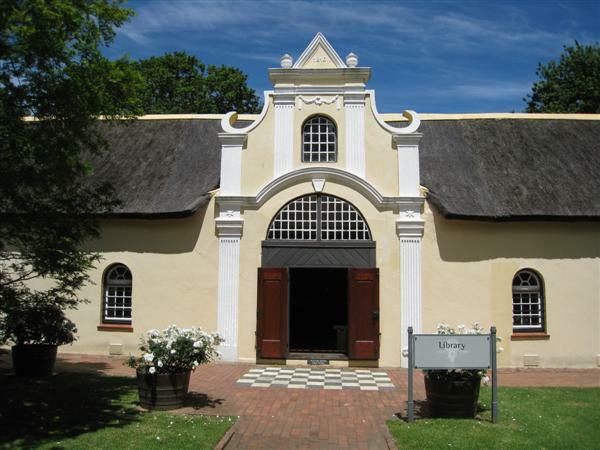 Instead of going straight to the apartment in Hermanus we went to Paarl for the weekend, a winegrowing district that we had not previously been to. 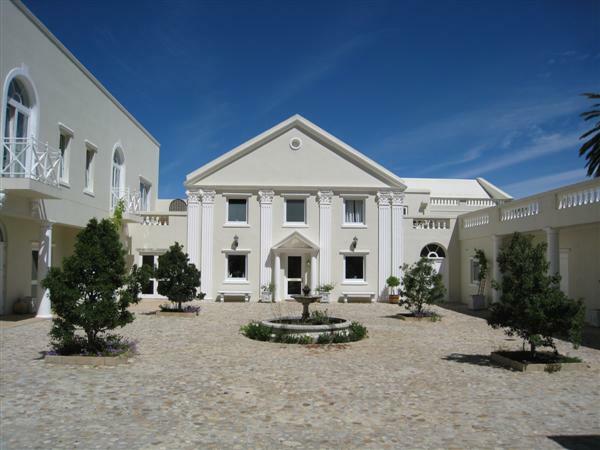 The price of very ordinary B&Bs in Paarl itself decided us, or I should say Mary as my personal travel organiser, to go out-of-town and for the same price, have a much more luxurious accommodation. The Cascade Manor hotel was a delight. Parts of the building are over 200 years old, and it has recently been renovated and refurbished. It looks more like an Italian villa than anything else. 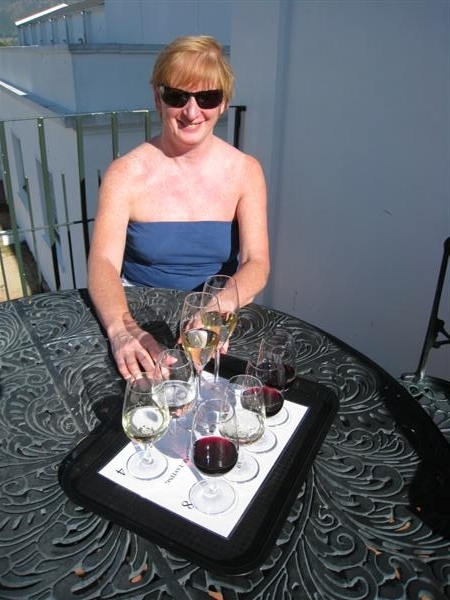 Monday it was a leisurely drive down to Hermanus taking in a couple more tastings and lunch at Vergelegen.